This outstanding example of a 2018 Mercedes-Benz AMG GLC 63 S 4MATIC Coupe is offered by Mercedes-Benz of Scottsdale. 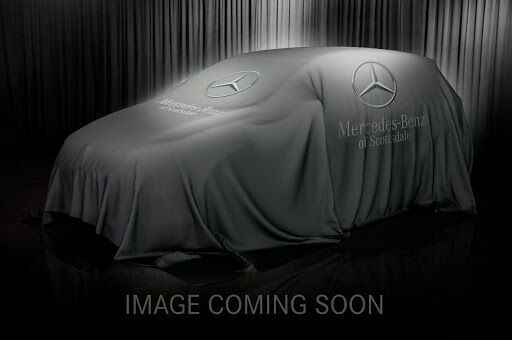 This Mercedes-Benz includes: AMG NIGHT PACKAGE DESIGNO DIAMOND WHITE METALLIC ADVANCED PARKING ASSIST PACKAGE Automatic Parking Hands-Free Liftgate Back-Up Camera Remote Trunk Release HEAD-UP DISPLAY Heads-Up Display BLACK W/GREY ACCENTS, NAPPA LEATHER UPHOLSTERY Leather Seats MULTIMEDIA PACKAGE Navigation System CD Player Auxiliary Audio Input Hard Disk Drive Media Storage Entertainment System MP3 Player ADVANCED LIGHTING PACKAGE *Note - For third party subscriptions or services, please contact the dealer for more information. * Want more room? Want more style? This Mercedes-Benz GLC is the vehicle for you. Today's luxury vehicle is not just about opulence. It's about a perfect balance of performance, comfort and attention to detail. This 2018 Mercedes-Benz GLC is the perfect example of the modern luxury. Take home this 2018 Mercedes-Benz GLC and enjoy the safety and added performance of AWD. Want a mobile theater? This Mercedes-Benz GLC has a premium entertainment package that will keep your passengers entertained with superb enjoyment. Added comfort with contemporary style is the leather interior to heighten the quality and craftsmanship for the Mercedes-Benz GLC Put away your phone and focus on the road, your new vehicle has navigation. This outstanding example of a 2018 Mercedes-Benz GLC AMG GLC 63 S is offered by Mercedes-Benz of Scottsdale. This SUV gives you versatility, style and comfort all in one vehicle. You appreciate the finer things in life, the vehicle you drive should not be the exception. Style, performance, sophistication is in a class of its own with this stunning Mercedes-Benz GLC. All-wheel drive means peace of mind all the time. This Diamond White AWD Mercedes-Benz enjoys a host offeatures, including exceptional acceleration and superior stability so you can drive with confidence. The Mercedes-Benz GLC AMG GLC 63 S will provide you with everything you have always wanted in a car -- Quality, Reliability, and Character.